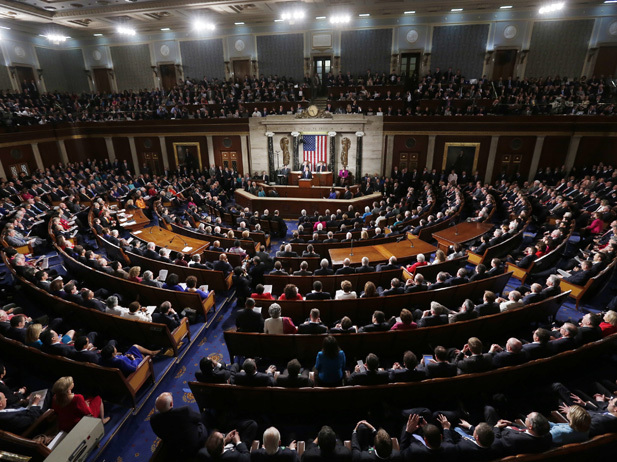 The State of the Union is tonight, delayed one week from the partial government shutdown where no one really felt its effects, but the nightly news could not get enough of it. This will be President Trump’s second address to the nation. A tabulation of all television “news” broadcasts of 2018 shows (just like 2017) 90% of all stories about President Donald Trump and his administration were negative. Very little has been said about the economy, about employment numbers, about historic employment across every minority demographic or the positive new trade agreements put into place. Even less has been said about the confirmation of Judge Kavannaugh, pulling the US out of Syria, achieving greater energy independence, and showing Chuck Schumer, Nancy Pelosi and the whole of the GOP establishment that government shutdowns does not really hurt polling. Most any leader, president or not, who receives the same onslaught of negative (and often fake) news stories wilts and capitulates into compliance or becomes as effective as a screen door on a submarine. Thankfully, Trump has become neither. To be clear to my friends on the Left, I have fun with this annual event and this associated blog post. Since we are called Freedom Cocktail, I would still enjoy determining some of the new rules and requirements around our annual drinking game. Tonight ought to be interesting, given some Democrats will boycott the SOTU while others have invited guests solely meant to embarrass the leader of the free world. It’s likely that Nancy Pelosi will have been freshly botoxed to prevent unnecessary scowling (how can you tell, when she isn’t, by the way?) and Chuck U. Schumer will have a perma frown the whole time the President is at his podium. Which brings me to the circus we can expect after the #SOTU, when we will then get to sit through hour after hour of political analysis. Most will be negative and I fully expect to hear misquotes and out-of-context paraphrases meant to deride the President. Beyond the talking heads, we may get treated to more than one Democrat response, though many will be tuning in to see how the recently defeated Stacey Abrams can handle herself with this task. Traditionally, whomever gives the minority response, does not fare well in their career afterwards. Is this punishment for losing the Gubernatorial race in the state of Georgia after more than 80% of her campaign war chest came from outside the state? Or is she hoping to break the cycle of ridicule that almost always follows the person tasked with giving the opposing party’s response? Let’s get to the fun part. 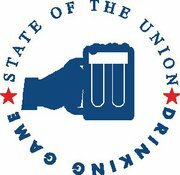 What is the State of the Union drinking game, you ask? It’s simple. Take a moment today and think about all of the words/phrases you might expect the President to use during his State of the Union and put them down on paper. As an option, you can choose to add a second column, detailing just how much you drink each time that word or phrase is uttered. Maybe it’s a shot! Maybe just a sip. You decide. Discusses any aspect of “the wall” to include the terms barrier, fence or structure. Take a second drink if the word “steel” is used with any of the above. Anytime he can get the Democrats to stand and clap — for anything outside of his entrance or his exit. There was a time when the State of the Union had it’s purpose, but that has long since been ignored. I wish we would go back to when the President would simply write out his State of the Union, present it to Congress and then have it shared on social media for all of us to read at our leisure. Alas, that ship sailed a long time ago. For that reason, I’ll be playing the #SOTU2019drinkinggame with much gusto. For supporters, it will be a way to celebrate and for detractors, a way to cope with your sorrow. BTW…if you are interested, I’ll be real-time tweeting throughout, so follow me on Twitter (@alanjsanders) and see how bad my typing gets by the end! I’ll just blame it on Siri.